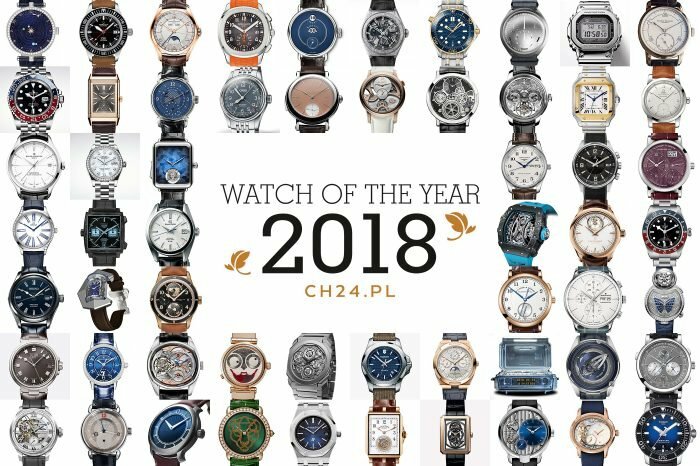 It always puzzled me how intensive must the work inside the watch brand’s design studios be in order to come up with a brand new line of models each single year. Rolex for example is very consequent and holds on its style DNA with some even laughing, that to be the company’s designer is the most boring job in the world. Other must try much harder, so that the critical eye of journalists, collectors and future customers would gaze with acceptation. I don’t like to write nor talk about the so called “watch trends”, but there is no business without it nowadays. The industry looks and works as it looks and works, the customer is more demanding than ever (not always in a positive way) and the economic balance is what rules. Companies grab on to various long and short-lasting trends and fashions all the time. Some are accepted with applause, other diminished and discarded straight away. The oversized frenzy for pieces sized as a regular table clock is happily gone, the blue dial is probably here to stay, for good. Having said that, no other trend planted its seed so firmly as the ever so famous “vintage”. 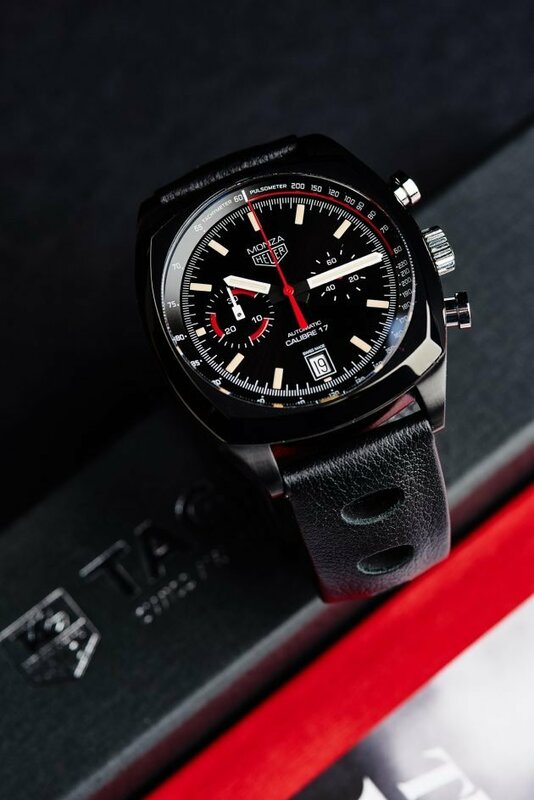 To be honest we find it hard sometimes not to mention and cover yet another vintage-inspired watch that came to life from the old archives of an old brand, from its traditions and history. This review is also about a vintage inspired watch and all the other aforementioned topics. 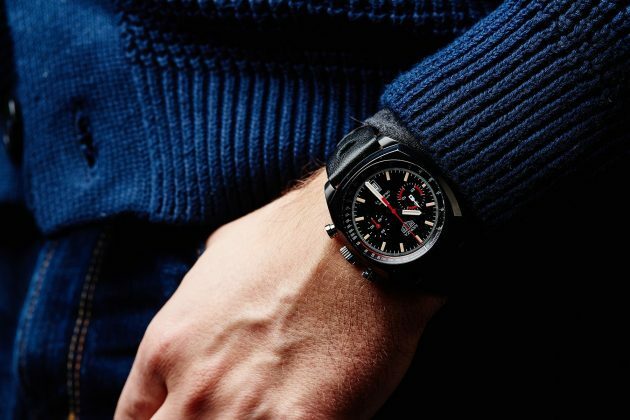 It will be about one of the more notable Swiss chronographs makers, about the all-black, about a small Italian town, a legendary racing circuit and about a genius of our “Special Jury Prize” laureate for 2016 “Watch of the Year”. Read on. 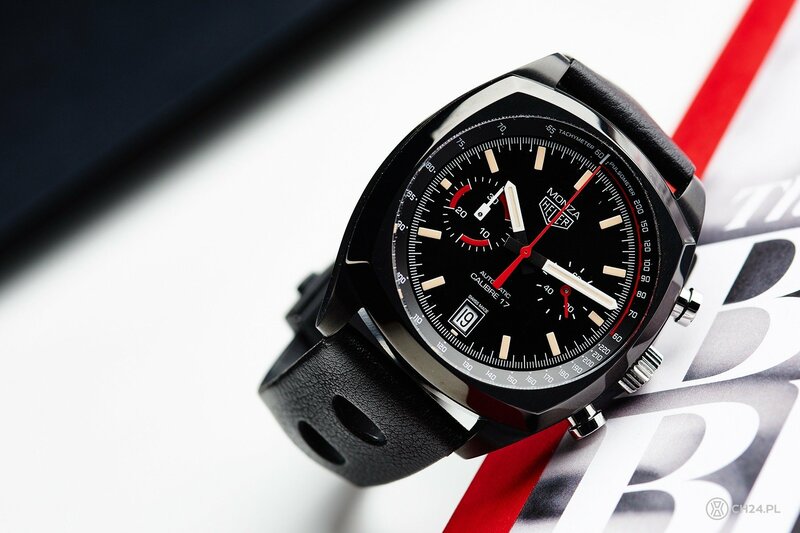 First ever Heuer watch (back then without the TAG abbreviation) named after the legendary Italian race track has been presented back in 1976. The brand, thanks in large to Jack Heuer, was an official partner of Ferrari. 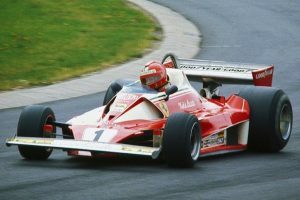 The watch itself was dedicated to the F1 World Championship title, won a year before by Niki Lauda and Clay Regazzoni. It’s this particular reference, made until the end of first half of 1980’s, that closest resembles the testes watch. 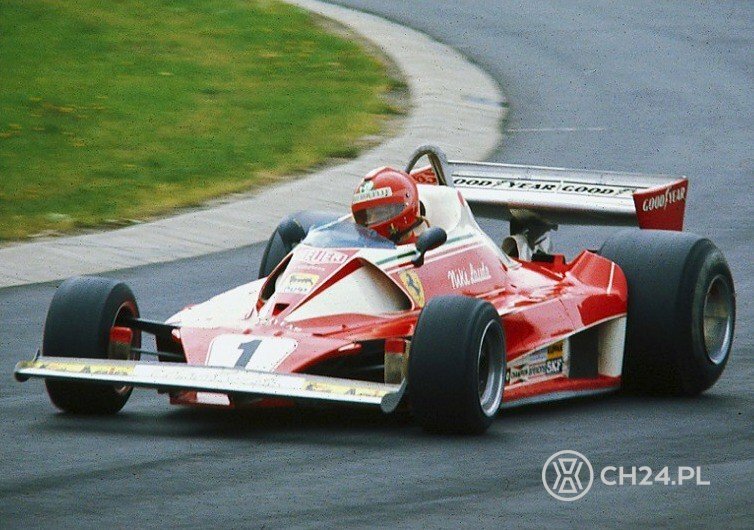 In the meantime Monza reappeared in TAG’s portfolio several times, with different, rather questionable success. The Monza’s official resurrection came in the year of 2000, equipped with a cushion-shaped case, inspired by the Heuer chronograph from 1930. 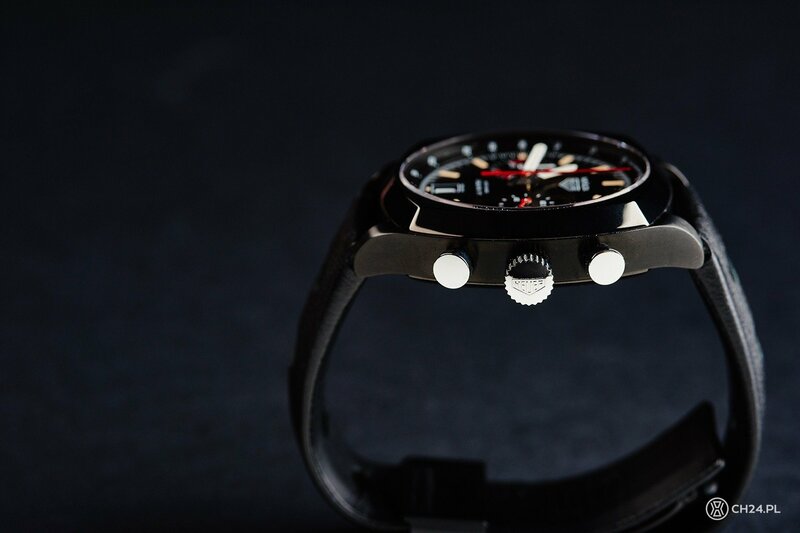 Those references, with and without the chronograph, were powered by mechanical calibres nr.6, 15 and 36. 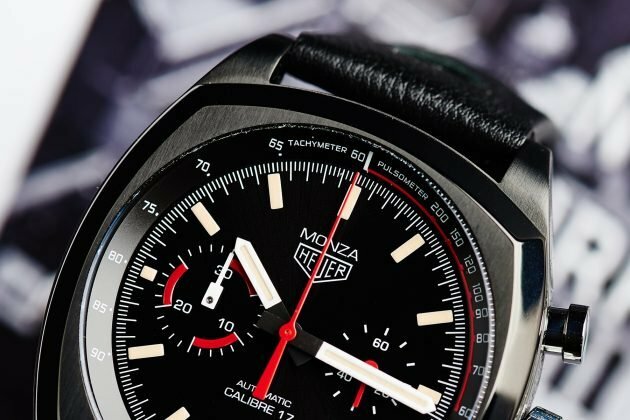 In 2011 the vintage inspired Monza came out, designed with a stylish, old-fashioned dial. Next one had to be awaited for 5 long years… but it was all worth the wait. 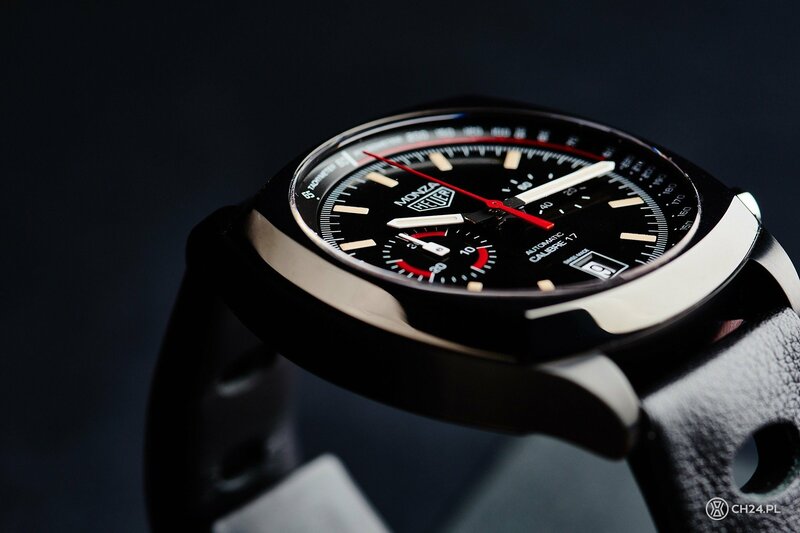 Exactly 40 years after the black Monza for Scuderia Ferrari, TAG Heuer, under the command of Jean-Claude Biver, presented a watch that was one of the highlights of the 2016 BaselWorld. Re-editions tend to awake very different emotions, but Biver, according to his own way of not precisely recreating watches, hit the jackpot. 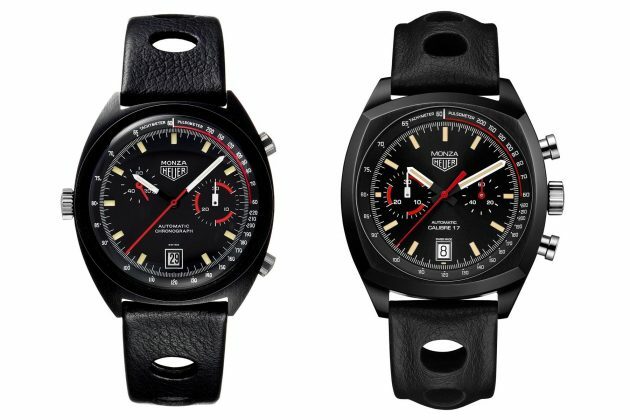 Among Heuer’s collectors and watch fans (in general) alike. Monza 40th Anniversary draws a handfull from number of vintage references, adding modern materials and contemporary calibre to the mix. 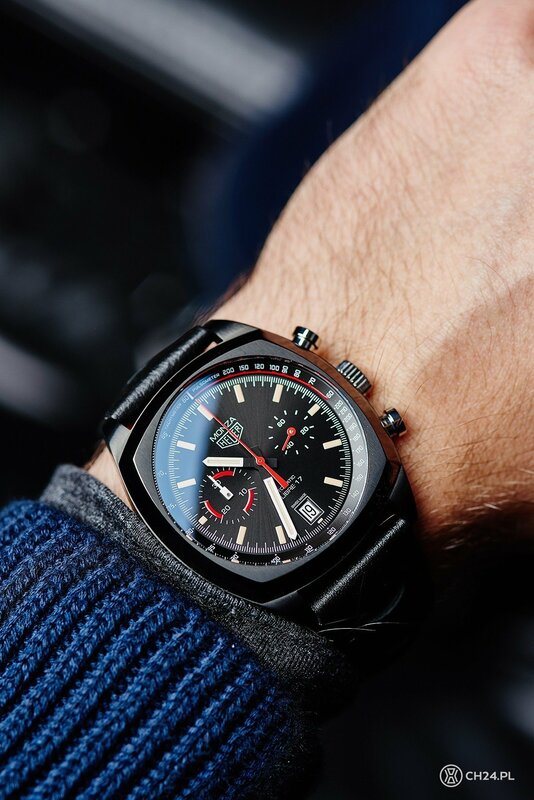 The obvious inspiration comes from Ref.150.501, with its Black case, Black-red-beige-white dial with two counters and date window and with the leather strap with large, oval racing holes. It however is not a faithful copy, which adds to the “Pros” list. I fell in love right away. Shaped like the cushion case form the past, the case in question is 42x42mm, plus 12mm in height. It’s made out of titanium, covered with a black DLC coating. 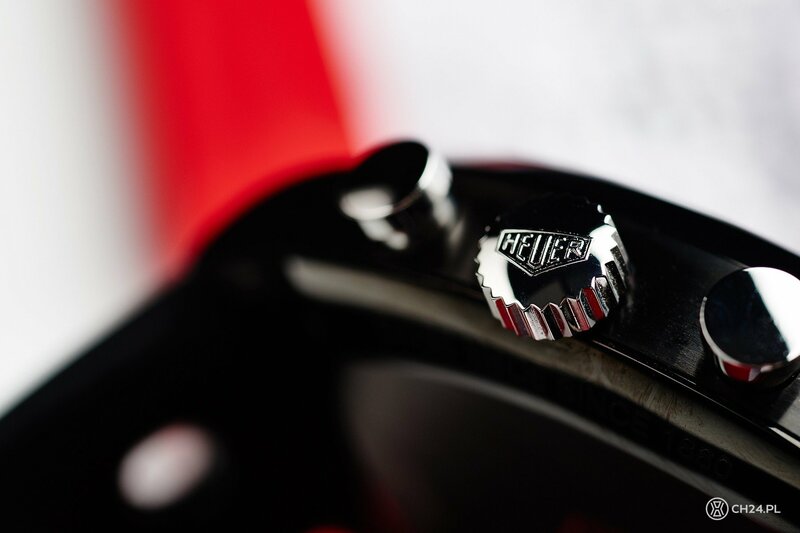 Surfaces are satin-brushed (sides, lugs, top of the bezel) and polished (bezel and caseback edges), and equipped with steel crown and two pushers. In the original crown was placed on the left side, but here it finds its place on the right of the case, which fits the overall looks and proportions better, I guess. On the back you’ll find a simple and simply gorgeous, stain finished caseback, adorned with white Monza name and red Heuer logo. Few standard information follows, including the WR set to 100m. There is also an individual number of each piece, which come in not a traditionally limited, but rather a production-limited series. On the front of the timepiece you will find a nicely doomed sapphire glass with a bit of double antireflective coating, that works just fine. And there is the dial, rounded form the outside by both Tachymeter and Pulsometer scales. It’s all a very vintage canvas, painted as if back in the 70’s. Base is deep black, with a delicate sunbrushing, that under some light angles turns the face to metallic grey. Minute track has been added in white, along with 12 beige hour marks. Heuer logo (vintage, sans “TAG”) and Automatic, Calibre 17 were both painted in white, the latter just over the date window, framed in white. Two subdials are a small seconds counter with a red hand and a 30 minutes chrono counter, with a stylized white hand, with rectangular base. Just a quick gaze over the dials of both 2016 and 1976 version is enough to distinguish obvious similarities and significant differences. Subdials switched places, and the left one brought down, right to the horizontal symmetry line. This has been caused both by the movement and (probably) wish to make a more symmetrical, classic design. Not that the original asymmetry did not work – on the contrary. Two main time-hands are white with beige lume, glowing bright green when properly charged (with light), and chronograph’s seconds hand is deep, bloody red. 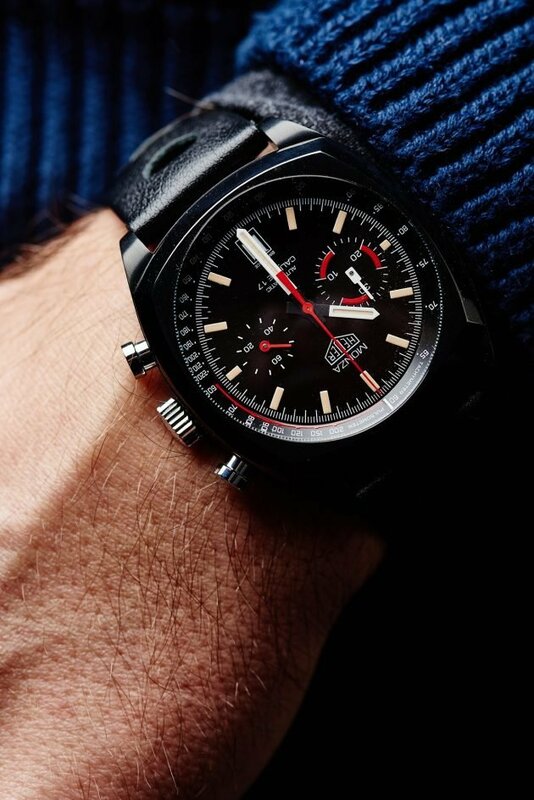 Since forever (that is since I can remember) I was a huge fan of the original, black Monza, with its great dial perfectly in tune with motor racing character. 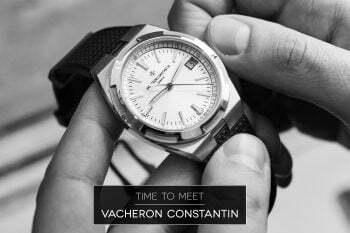 The new one is equally beautiful, readable and stylish – and if you agree that the dial is a face of a watch, that is a truly handsome one. There is not much to be said about the movement. It’s a bit of a shame that a manufactured, in-house movement was not selected. The choice went to the ETA 2894-2 base with Dubois Depraz stop-watch module. It is quite a popular mix, used in number of middle-ranged chronographs. Modular construction has its obvious drawbacks and it’s not even closely as prestige as the integrated one, but at the same time it’s not half that expensive. And the only true issue I had is how stiff the pushers feels when operated – you need to press on the hard to start all the fun. I also was not sure about the strap – at first. This one was quite faithfully copied from the original, with black calfskin leather and oval cut-outs. Comes with large, black coated titanium clasp, with safety buttons. 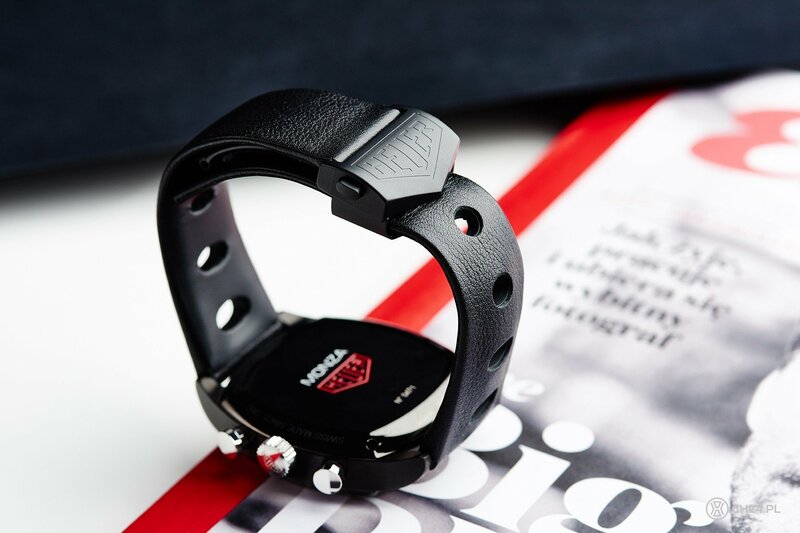 As much as I find the buckle a tad too big and bulky, it secures the watch on the wrist and allows for an easy adjustment. 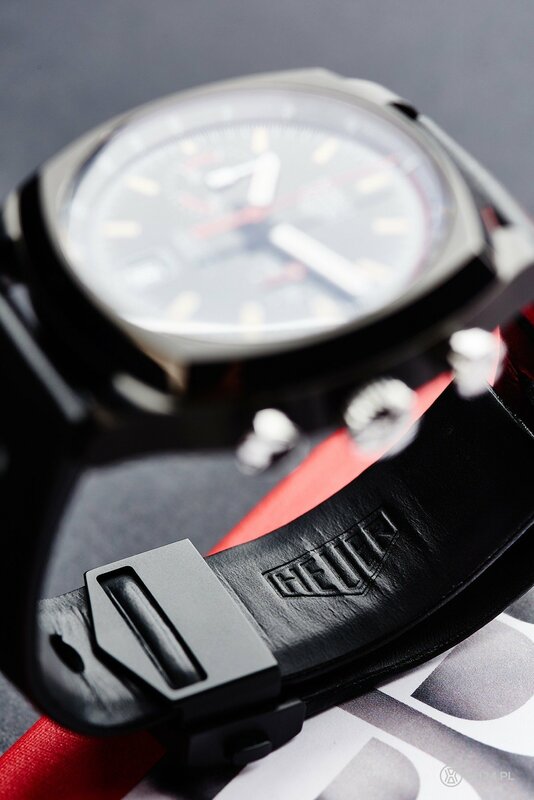 The strap itself – fits like a glove. Both in terms of style and feel. Just right. 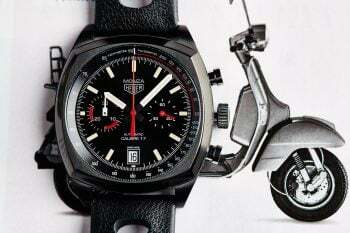 There will be around 2000 pieces of the Monza Ref.CR2080 made in TAG Heuer’s manufacture in Le Locle. It’s quite a lot, but I still believe it’ll be a collectors, sought-after piece soon enough. Vintage market is doing better and better for TAG nowadays, with prices and popularity going up. 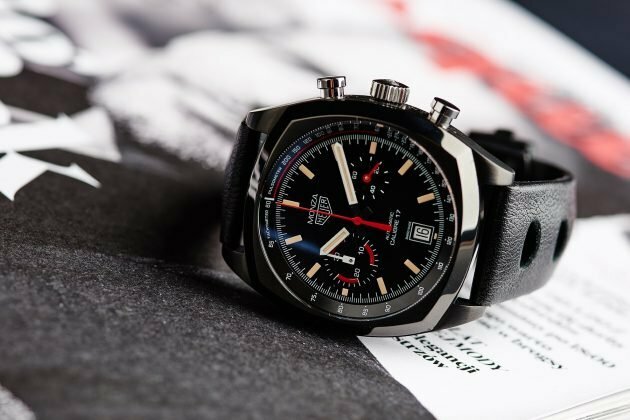 We will witness another awaited re-edition this year – the Autavia – but she will have a hard time beating the hype Monza caused. It’s a perfectly thought out and executed piece, inspired but not copied, with a lot of unique style. 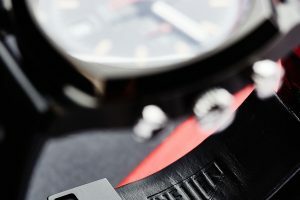 Most of all the watch wear great, it’s light, comfortable, very well made and vintage-like, but in subtle, pleasant way. It’s one of those pieces, in which the mechanics (solid, but not so special) leave place for the aesthetics an wearing experience. 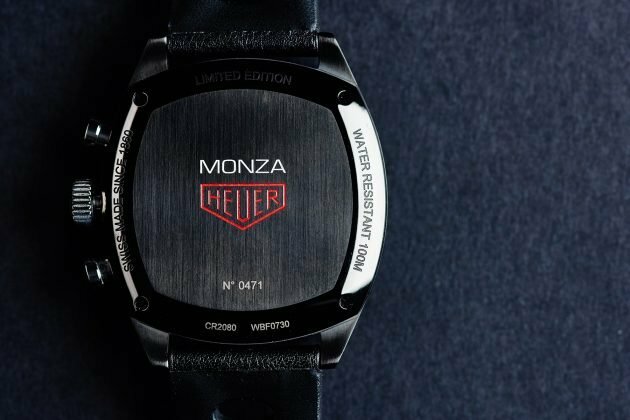 TAG collected a lot of compliments for the Monza, including the “Revival Price” at the 2016 Grand Prix d’Horlogerie de Geneve. That makes me happy, especially in face of all the controversies with new brand’s strategy and development. 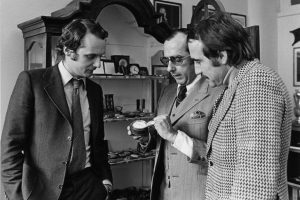 As much as shutting down the Haute Horlogerie department was a smart and reasonable move, ignoring all the history would be just hard to grasp (and forgive). 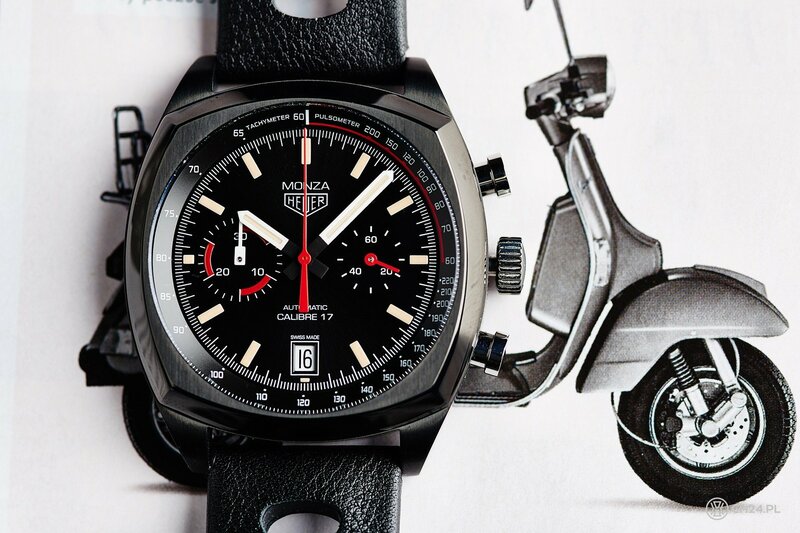 Classic Heuer timepieces are true gems of watchmaking, priced, loved and craved by many. Monza 40th Anniversary Chronograph comes at 5.200EUR. It’s quite a chunk of your money for a simple, non-manufactured chronograph, in fact it’s one of the priciest watches in currant TAG’s line-up. Having said that if I had a spare 5k to spend, I wouldn’t hesitate. I always thought, that a watch you want to buy should make you happy and wish to strap it on all the time. I wore the test piece for good 3 weeks on daily basis, each time happier than the day before, appreciating TAG’s job well done. One could of course argue on some details, like titanium instead of ceramic or ETA in place of in-house. That would make a watch more impressive, unfortunately as well as the prize. Now all you get is a great timepiece, that you’ll love, wear and admire, every single time. Watch provided for testing by Trufey, distributor of TAG Heuer in Poland.